Injeq IQ-Needle™ | Precision. Care. Confidence. Injeq IQ-Tip™ spinal needle is the smartest needle around – based on pioneering tissue identification technology. Traumatic lumbar punctures are especially problematic, since they may introduce leukemia cells from blood to the central nervous system. Injeq IQ-Tip™ spinal needle may help you to avoid unnecessary needle movements for the benefit of the patient. Acute lymphoblastic leukemia (ALL) is the most common cancer type diagnosed in children. During the treatment, which usually lasts around 30 months, approximately 20 lumbar punctures (spinal taps) are performed on the patient. As the tip of the needle must be precisely inserted into the spinal canal, each of the punctures is a challenging procedure. At the same time, you have to be careful not to insert the needle even slightly too far, because there is a risk of bleeding that allows cancer cells to enter the spinal canal, lowering the chances of recovery. The smart digital technology in Injeq IQ-NeedleTM system may reduce the risk of bleeding. It would then protect the patient and help you get more high-quality and less blood tinged spinal fluid samples. When you know where the tip of the needle is, you are able to avoid unnecessary needle movements near the spinal nerves. Working in ER, the pressure for fast diagnoses is high 24 hours a day, and sometimes you have to make quick calls. When you have a patient with suspected neonatal meningitis, it is imperative to get a quick CSF sample for a diagnosis. 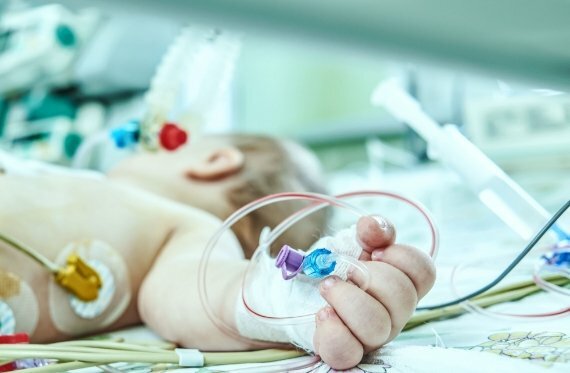 Although it is an established and simple procedure in theory, performing a lumbar puncture to a child while under pressure is not completely without risk. The puncture still has to be performed for the sake of the little patient, because undiagnosed meningitis is always a life-threatening condition. According to surveys, 24–40% of punctures performed on newborn babies fail or result in tissue damage. In addition to pain, failed punctures cause delays, poor-quality samples, and further expenses, as the patient may have to spend more time in intensive care. Injeq IQ-Tip™ system may allow less stylet removals and reinsertions, and smoother and faster punctures with a better success rate. Less uncertainty for you and more comfort for the baby, with less expensive time in the unit. Treatment for ALL-type leukemia requires several lumbar punctures, usually around 20 per patient. Performing every single one of them successfully is important. When performing a lumbar puncture, approaching the spinal canal carefully is paramount. 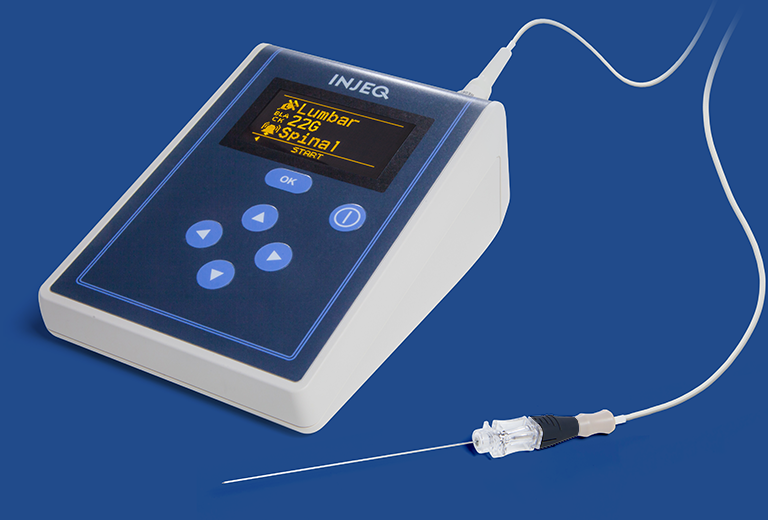 Injeq IQ-Tip™ spinal needle measures 200 times per second whether the tip is in contact with spinal fluid. A delayed diagnosis puts the patient at risk, and it may also cost a lot of money. Keeping a child in intensive care costs potentially 2700 euros a day. That is why you want the confidence to perform the needed procedure immediately. Injeq IQ-Tip™ system is based on ten years of innovation, research, and field studies – not to mention top medical expertise and a supporting attitude toward those performing and receiving lumbar puncture procedures. Pioneering tissue identification technology provides real-time information on tissue type. 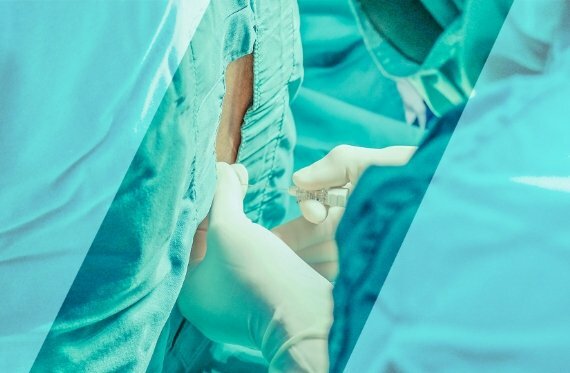 New information may help you to avoid unnecessary needle movements, reduce the risk of blood tinged spinal fluid samples and the risk of bleeding, that may lower the odds of recovery in treating cancer. 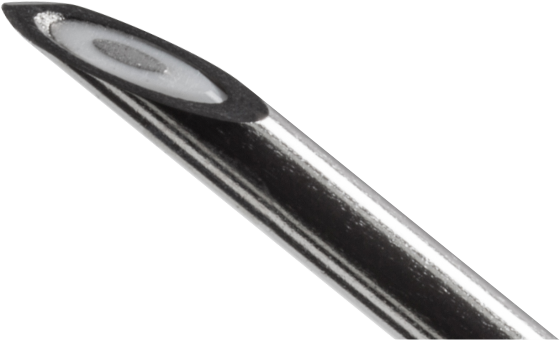 Using Injeq IQ-Tip™ system may also enable performing more punctures without general anesthesia. 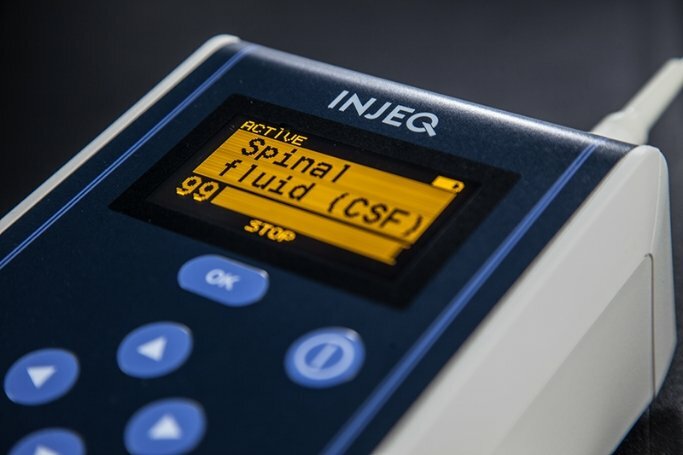 Injeq IQ-Tip™ spinal needle facilitates your work by telling you when the spinal fluid has been reached via an audio alarm. You will know exactly where the tip of the smart needle is, and when it has reached the spinal canal. It doesn’t matter if you are a seasoned medical professional or straight out of medical school, Injeq IQ-Tip™ spinal needle gives you more accuracy and confidence in performing a lumbar puncture. With Injeq IQ-Tip™ it is possible to get the puncture right the first time, every time. Avoid unnecessary needle movements in spinal area. Use of general anesthesia increases recovery time for patient. Smoother punctures ease the discomfort of the patient and save time and money. Injeq technology can be adapted to many new uses in the future. Injeq was founded when a group of experts in the fields of technology and medicine identified a solution for a well-known medical need – to make lumbar punctures safer and more precise. The vision of a smart needle developed to a fully-formed idea, and from there to clinical research at neonatal intensive care units. Now Injeq has a clinically proven product ready for the market, based on unique, tried and tested technology. Injeq IQ-Tip™ spinal needle is the leading product in its field, offering safer, faster, and smoother procedures through real-time information. Our staff consists of professionals with expertise in a wide range of fields, including medical research, signal processing, clinical research, European regulation, and various areas of production, quality assurance, and corporate management. We have an active corporate board, that includes the original developers of the innovation and outside experts. The board members support the operational organization and participate actively in the development of Injeq. The main benefits of our smart needle – precision, care, and confidence – are present in everything that we do and what we want to offer our clients.